How To Look Younger In Just 9 Steps? Incredible, but true! 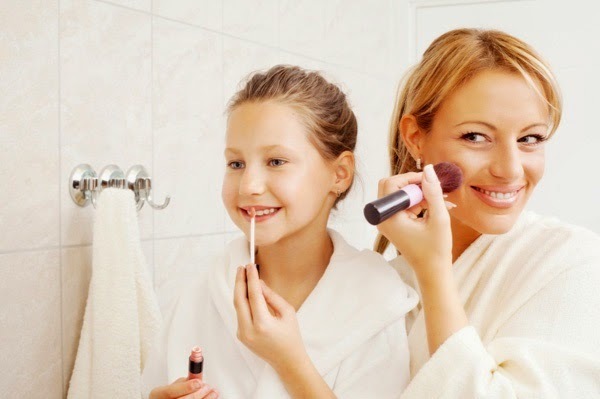 I will discover you some secrets of beauty that famous makeup artists use for their clients in the next several steps. Spend only 5 minutes reading and beautified yourself in the next 10! Some women make the mistake of putting too much makeup just to look younger, and actually get the opposite effect. Instead, apply a nuanced basis for face on your cheeks and forehead! Your skin will immediately look tighter and complexion will be smooth. The main culprit for mature women to look older are those dark shadows under their eyes. 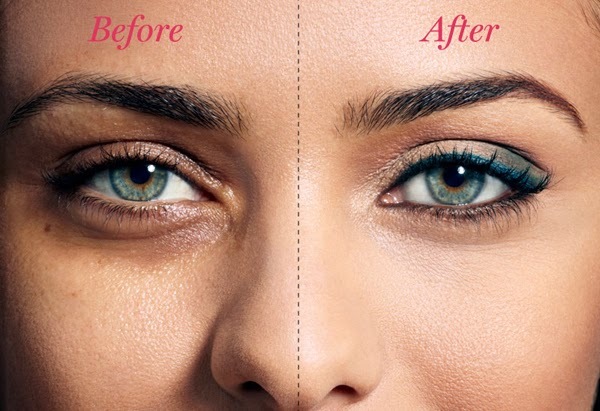 Use concealer to hide relaxed skin and dark eye circles. This is the most important thing that you should do to look younger. Draw your eyes with eye pencil and place mascara on the lashes.Huge amount of mascara. Many women in some older years stop taking care of their clothes and therefore they look older. Before going out choose clothing that fits the shape of your body and you will look younger and more beautiful. Would it be whitening, epilation or plucking, the choice is yours! Just remove facial hair. Here goes and shaping eyebrows. 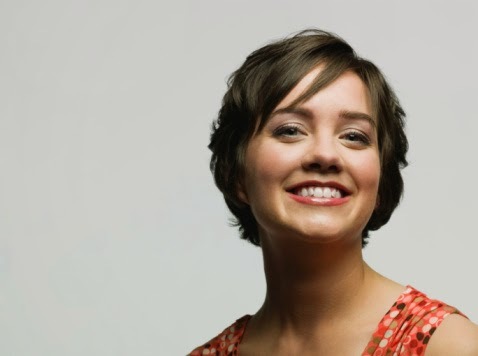 You can create the illusion of looking younger with changing your hairstyle and not be afraid to try something new. If you're one of those types of women who find it difficult to highlight the eyes, then the solution for you is a face mask. 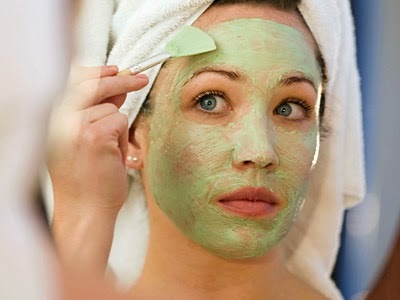 First, make a scrub to open your pores, then apply the mask. Finally, enjoy. Dark lipsticks highlight problematic areas of the face. So use those pastel colors. The last, but also the most important is your smile! It is a powerful weapon! Laughing women look cheerful, and therefore much younger. Being a mother is a difficult task. Often mothers do not have enough time for themselves, especially those who have babies, so when they need to go somewhere, they barely found time to throw a nice piece of clothing on them. In such a situation, for the makeup often we cannot even speak, but with these simple steps, for just 5 minutes you can make a neutral makeup and give new life to your tired face. 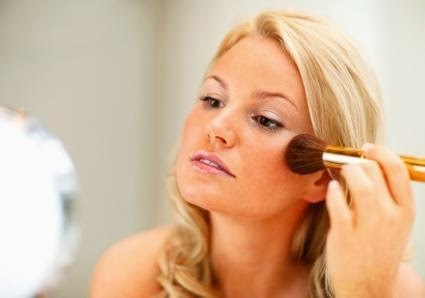 Apply powder foundation to the entire face and wait half a minute to be soaked by the skin. If you do not use classical base, you can replace it with a mild daily face cream. Corrector for eye circles is something that every mother needs, especially those who have babies. When choosing a corrector color, look for it to be most similar to your skin’s color. 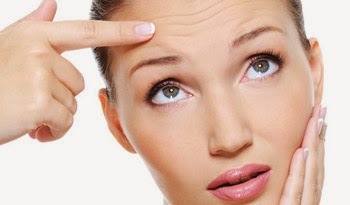 Apply one line under the eyes, then slowly with one finger spread it into the area under the eyes. The same rule applies for powder, watch hue to be most similar to the color of your skin. Put a little on both hands and drip all over your face. Make sure to avoid lines on the edges of the face, because it looks very messy. To achieve a fresh look, choose a blush with a pale pink color. With a brush, apply it on the cheeks, but not too high. Apply lipstick or lip balm with the same color. The effect will be stunning. To complete your look, the last thing you should do is to highlight the lashes with mascara. Buy distinctively black mascara for better effect and in just three moves you are ready to go out.